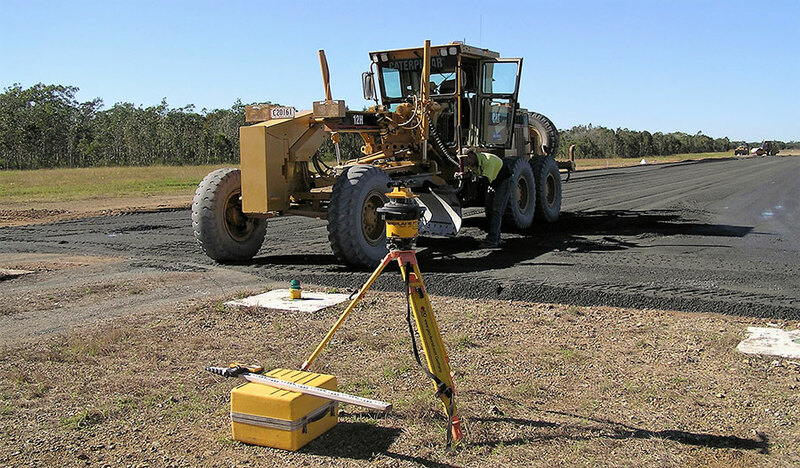 Barlow’s Earthmoving is a family owned and operated company, and an established civil contractor that has been providing bulk earthworks and civil works in the Central Queensland area for over 50 years. Our business is built on the unshakeable foundations of our relationships with our customers. These long-lasting, successful partnerships have been forged by repeatedly exceeding our customers’ expectations and gaining their trust through unrelenting exceptional performance. 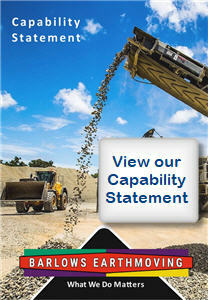 As a medium enterprise offering a range of services, including bulk and civil earthworks; crushing and screening services; the supply of quarry products and large mass retaining wall blocks; and equipment and plant wet hire, Barlow’s Earthmoving is ideally positioned to provide bespoke solutions for a wide range of multi-faceted projects that require diverse experience and knowledge. Together, our directors, Jeffrey and Stewart Barlow, have over 70 years of industry experience. On site, we field competent people with the right skills and the right attitude, working together in high-quality teams. We relish the unique challenges of every job, drawing on our experience and innovative problem-solving abilities to create the best possible outcomes for our clients. As such, we have earned a reputation as the go-to company for intricate and demanding projects. Our long-standing relationship of 30 years with the Defence Department in Shoal Water Bay Training Area, where we have completed hundreds of projects within tight time frames under tough, wet, remote conditions, is testament to our ability to get the job done. We have had to complete large and complex projects in short amounts of time to fit in with the numerous different military exercises that are conducted throughout the year. These exercises cannot be delayed under any circumstances, so finishing our projects on time and without exception, is critical. Our consistent ability to deliver has made us the preferred contractor for works undertaken in the SWBTA, on behalf of the Defence Department. Our company has grown with, and adapted to, the changing face of the industry over time, but we have always held ourselves to the highest work standards. Our motto, “What We Do Matters,” upholds this philosophy, which is also supported by our deeply ingrained company values. Our values guide our decisions, drive our actions and determine our results. They are the foundations on which we build. 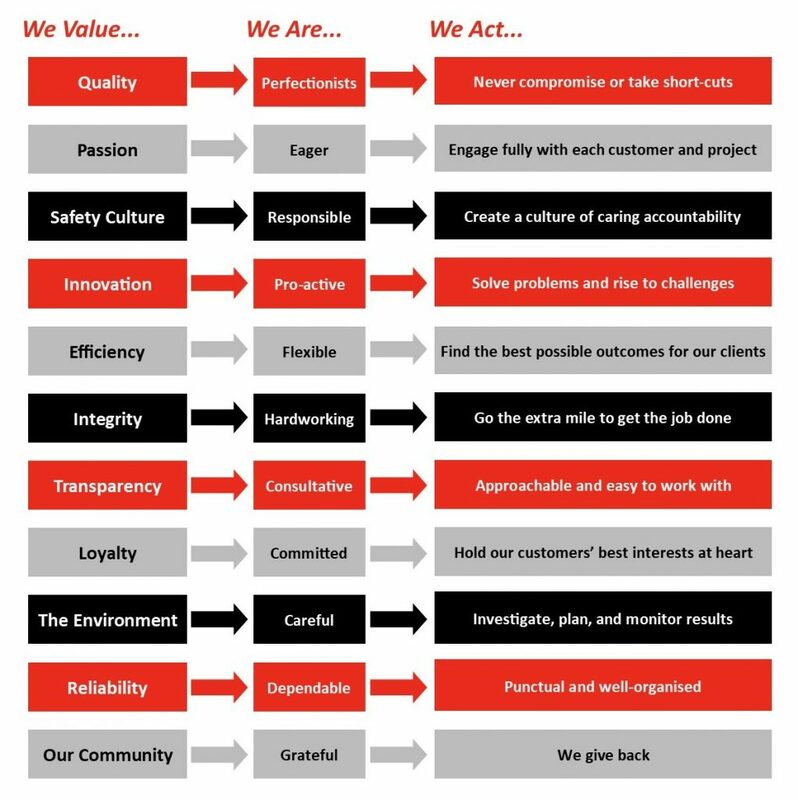 These values allow us to direct our business with clarity and consistency as we pursue our mission, which is to grow a reputation of transparency and service excellence, thus becoming the ethical business partner of choice for like-minded industry leaders.